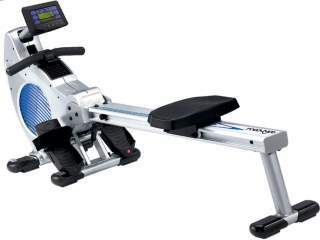 How to choose your Rower machine? The characteristics of the device: comfort, technical characteristics, size, programs, etc. The resistance system: hydraulic piston, magnetic, electromagnetic, air, water. The console and the training programs: this part, less important, can nevertheless help you to make your choice after a first selection based on the characteristics above. There are 3 types of rower that meet different goals. The first step is to choose the type of rower that fits your goals. You will find our advice at the end of the section. It has a single train (handle), a large amplitude and a perfect symmetry of movement. It is the most used device in gyms, the most appreciated also by the general public. It is aimed at both beginners and experienced or large-size athletes. It is recommended for cardio work and endurance work. It allows to perform a complete work ( bodybuilding, cardio-vascular work, thinning). Its structure allows a homogeneous distribution of forces on all the muscles of the body for harmonious results. His unguided movement requires to master the technique but the gesture can easily be learned from the first sessions. You need to avoid some common mistakes. It is fluid, quiet, robust and pleasant to use. It is suitable for all and for low to intensive intensities. Whatever your level and volume of training, it is the most suitable device. This is the one we recommend. It has 2 oars and is a vertical translation with a straight draw. The movement is fully guided so that it is easy to use. It allows more muscle work in the back and shoulders. It is suitable for beginners or people seeking to tone their muscles and stays in shape or for warm-up. His guided movement makes him ideal for rehabilitation. It is also lighter and more maneuverable than the center-pull rower. This type of device is not suitable for people of large sizes and is not the most suitable for trained athletes or professionals. It has 2 oars and is a horizontal translation with a cross draw of the oars (the oars intersect during the movements of traction and return as on a real skiff (rowing)). It is the device that best reproduces rowing gestures with a partially guided movement. 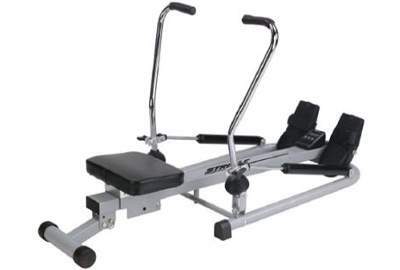 It is a little more complicated to use than other types of rower. The handling of the oars also induces an important movement of the arms and the opening of the rib cage, which makes the back and shoulders work more than the other rowers. This type of device is not suitable for people of large sizes and is not the most suitable for trained athletes or professionals. If your goal is to do cardio training and muscle building to improve your endurance and athletic performance, lose fat, work your muscles, work your cardiovascular and respiratory system, stay fit and healthy, slim down or to refine your silhouette, the center-pull rower should suit you. For high-intensity workouts or if you are tall, this is the device you need. 11 Best Rowing Machine in 2019 (Review guide) – Mippin, these machines will be used for the training of athletes practicing rowing as well as for the preparation of competitions. If you are looking for a device that is not too heavy and easy to move, for use limited to fitness or to refine your silhouette, the rower Scandinavian or Latin may be enough. Make sure your size is not too big for this device. The Scandinavian rower is the easiest to use because the movement is guided. It will allow you to work the upper body well. The Latin rower, meanwhile, reproduces more accurately the movements of the rowing (skiff). However, it requires prior learning to handle the trains well. Rowers can be found at prices ranging from 150 € to over 2500 €. The quality of the rowers is relatively related to its price. If your budget allows, invest preferably in mid-range hardware (400 to 800 €) or even beyond. 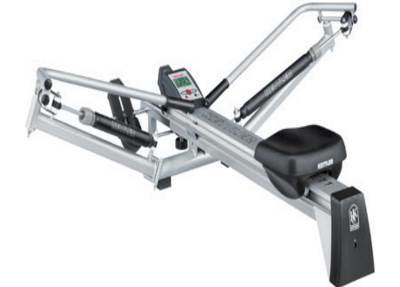 The rower is indeed a device that must be robust, comfortable, efficient and reliable. Otherwise, you risk losing your motivation and relegating it to the garage. A good device will bring you satisfaction and will last for many years. This is especially important if you intend to use it with the family or intensively.